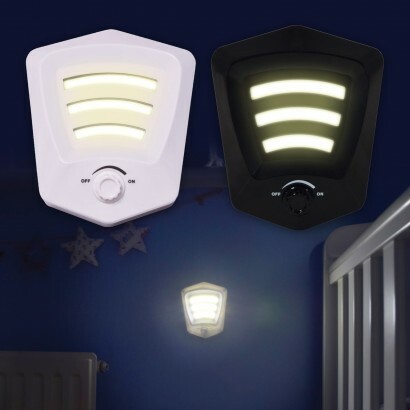 Incredibly practical and very ease to place, dimmable LED switch lights can be used anywhere around your home for dimmable light in even the most awkward of places. 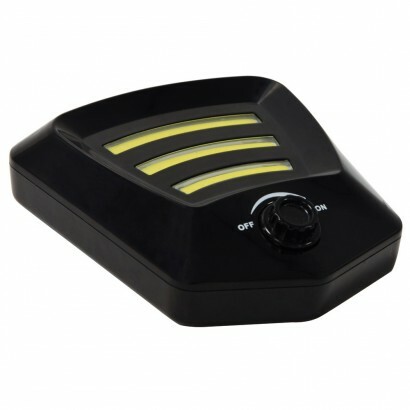 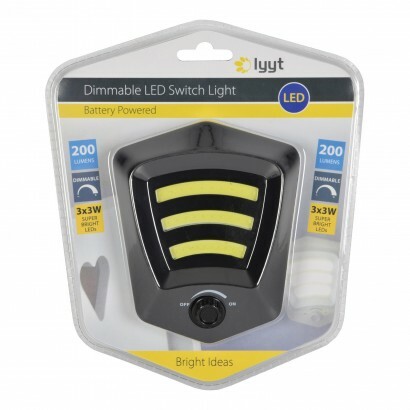 Three super bright LEDs provide up to 200 lumens of light that can be dimmed to give a softer glow making this light perfect for most situations. 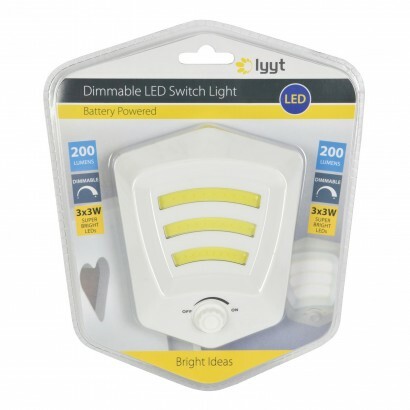 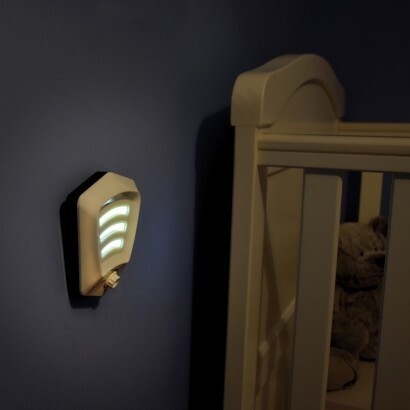 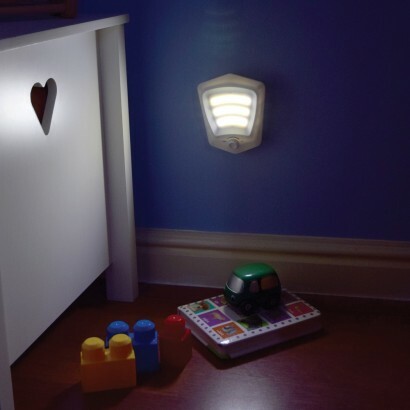 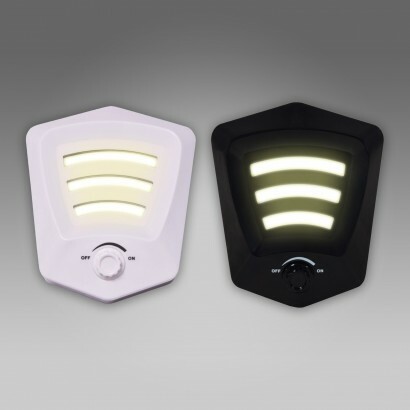 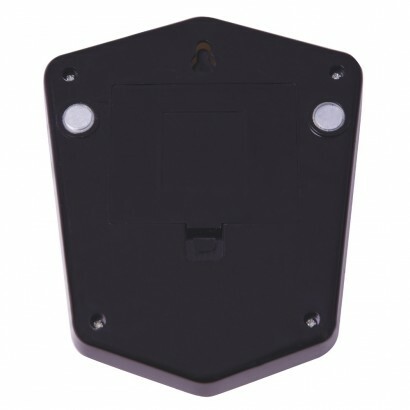 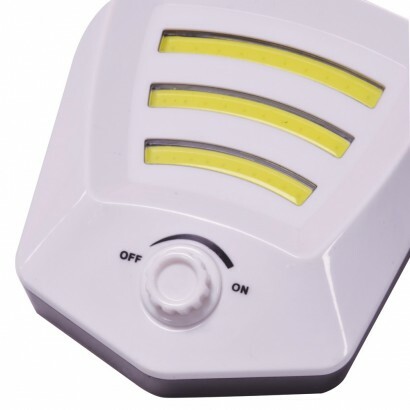 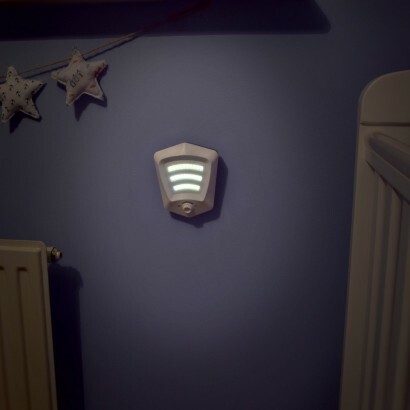 Battery operated, hang this super bright switch light anywhere using the wall mount, attach to magnetic surfaces with the magnetised mountings, or use the hook and loop fixings to give immediate access to adjustable light in kids rooms, hallways, on stairs, in outhouses and sheds and even more, the possibilities are endless!